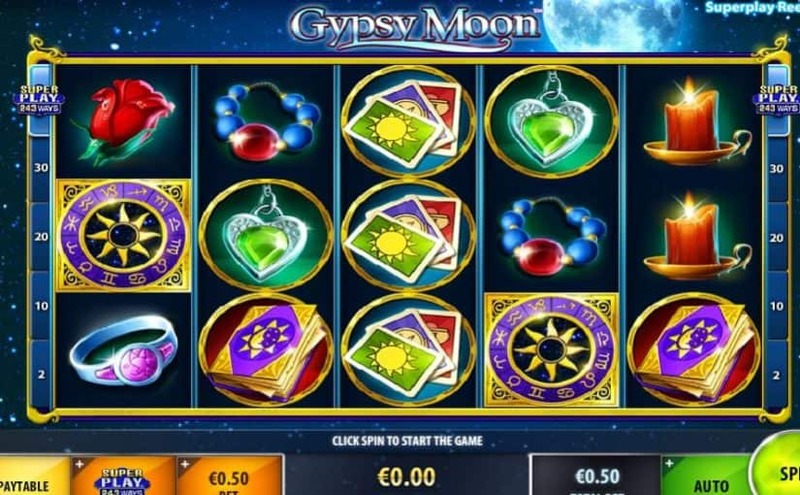 Gypsy Moon Video Slot is a five reels, 30 payline online slot game powered by IGT. It has a beautiful mystic Roman theme and offers some great bonus rounds to maximize your winnings. Gypsy Moon has an astronomy sign scatter symbol that will trigger your free spins bonus. The number of spins depends on how many scatter symbols you land. There is a Free Spins Picker, which you get to customize your gaming experience. Do you want a low multiplier and lots of free spins, or a high multiplier on fewer spins? The choice is yours: pick wisely and reap the rewards! Luckily, landing more astronomy signs will carry on retriggering those free spins up to 500 free spins! The bonus spins reels are special, too. You can look forward to seeing them covered in even more high-paying symbols than the regular base game.